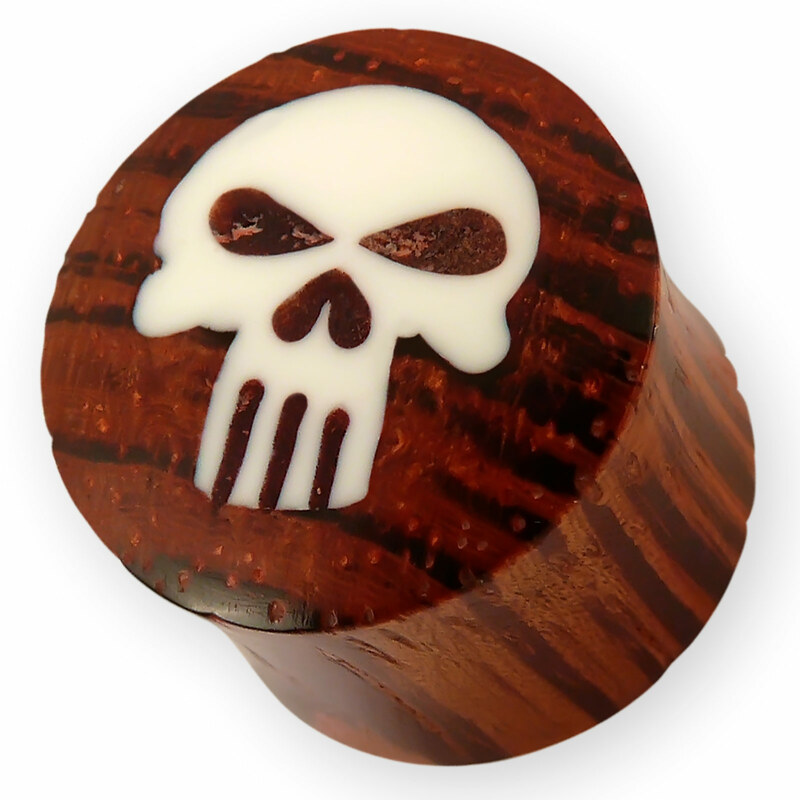 Handmade plug made of redwood with white skull Inlay - "The Punisher"
Double Flared Plugs (or Saddle Plugs) hold perfectly, due to the tapered middle, optimally in the ear. Satiné rubane, blood wood (Brosimum paraense) is predominantly found in the Amazonian countries of Guyana, Venezuela and Surinam. There it is also called Muirapiranga (Blood of the Piranha). This very hard wood has a calm structure and has a very beautiful light red to intense red color with silky shine. That is why it is also called "red satinwood" in French-speaking countries. In addition, the color does not yellow with time, but rather becomes more intense. The Punisher is a fictional character in the Marvel Comics. He is a criminal hunter who practices vigilante justice and does not shy away from violent practices. Driven by the murder of his wife and son, Frank Castle makes a vendetta against all the criminals. 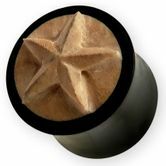 As a war veteran, he is a master at close combat, stealth, strategic planning and using various weapons.